Happy Friday! 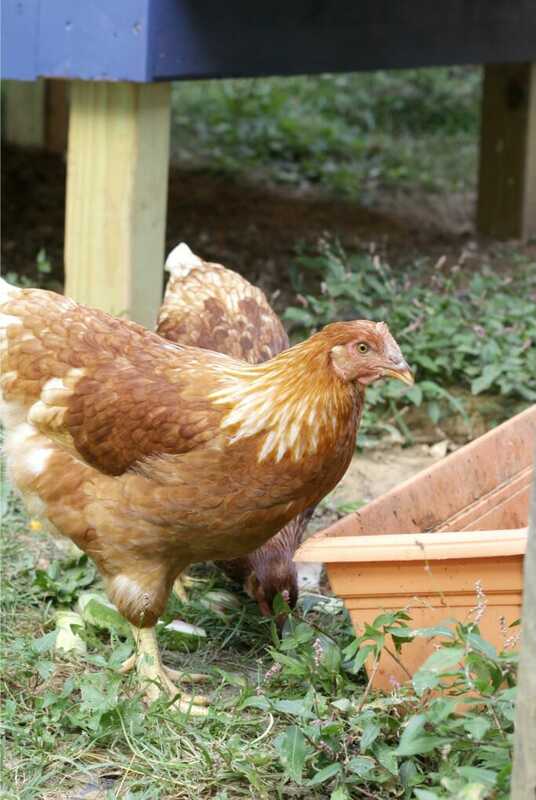 It has been an exciting week at our house as far as chicken raising goes. We gathered our first eggs, and they were quite delicious. I can’t wait until we have enough to make an entire meal, like a frittata… YUM! We’ve also started harvesting our tomatoes, and have loads of basil growing, so put it all together and you have one home grown and pesticide free dish of delectability. I can’t even begin to tell you how happy that makes me to see our hard work reaping such wonderful benefits. 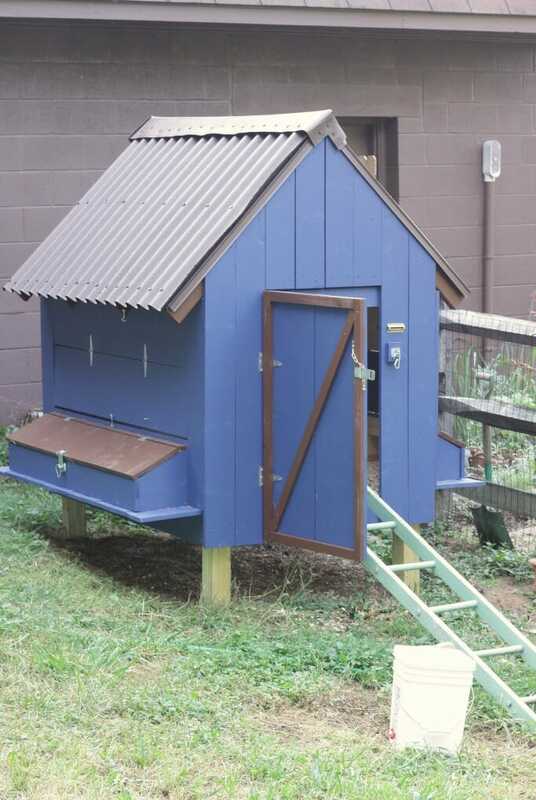 Speaking of hard work, today I wanted to finally share with you our chicken coop (which we painted with Clark & Kensington exterior grade paints from Ace Hardware). Or as I like to call it, home to the Roostamantes- a little play on our last name. I won’t be sharing a tutorial on how to build it because Chris and I are no pros. My dad was a huge help to us in getting started, and we used these plans. (Note: We bought the $5 plans, but the free ones ended up being better and the ones that we used).For free, these plans weren’t bad, but there were definitely some things that weren’t thought of, such as the extra protection in the ventilation gap, and our coop is currently without a roosting pole which we intend to add. As you can see, we all worked really hard to build this coop from the ground up. Of course the fun part, to me, came in selecting the colors for this bad boy. The unfortunate thing about selecting the colors is that I really wanted to work with our existing home colors, since those won’t change until I have $11,000 to do make that happen (read: never). 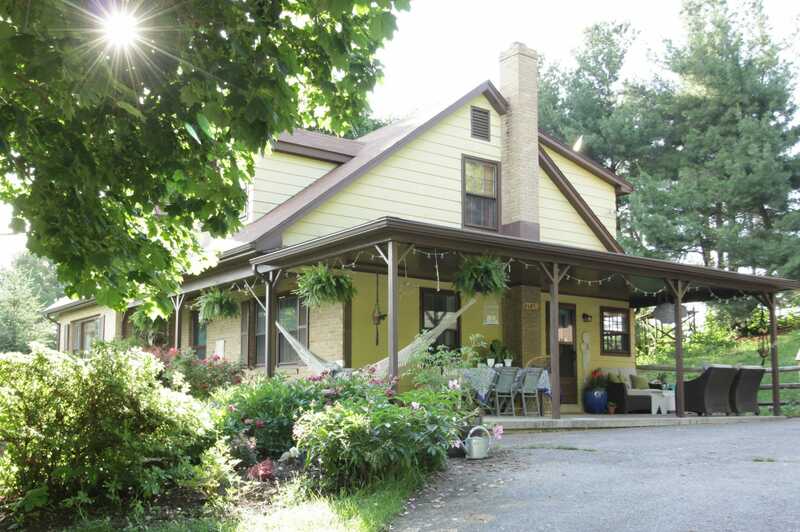 The exterior of our home is brick, a warm light mustard yellow, and a burnt sienna type of brown trim and roof. Here’s a shot from my porch tour which shows you what I was working with. This past year I brought in several blue accents in textiles and large planters on either side of my door and it really seemed to work with the existing colors as well as reflect my own personal style. I pulled out my Clark & Kensington fan deck to choose a blue that would coordinate well with the blues on the porch and settled upon “Heirloom China.” Now, as much as I would love a blue with white trim and a charcoal roof, that would have stuck out like a sore thumb from our house and coordinating detached garage. I used the fan deck to find a brown that was similar to the brown trim on the house and selected “Ballet Barre.” It ended up being just perfect! For the Heirloom China, I chose a satin finish in exterior. I couldn’t be happier with how it turned out, and it really fits right in with our home. Just look at how the pillows coordinate with the coop. Oh and that minty green shovel? It was a thrifty find at just $1 at a yard sale. I love the way it looks, but it’s also what I call my coop poop scoop… and you can guess the task it handles. I chose to paint the trim and the lids of the nesting boxes in Ballet Barre. 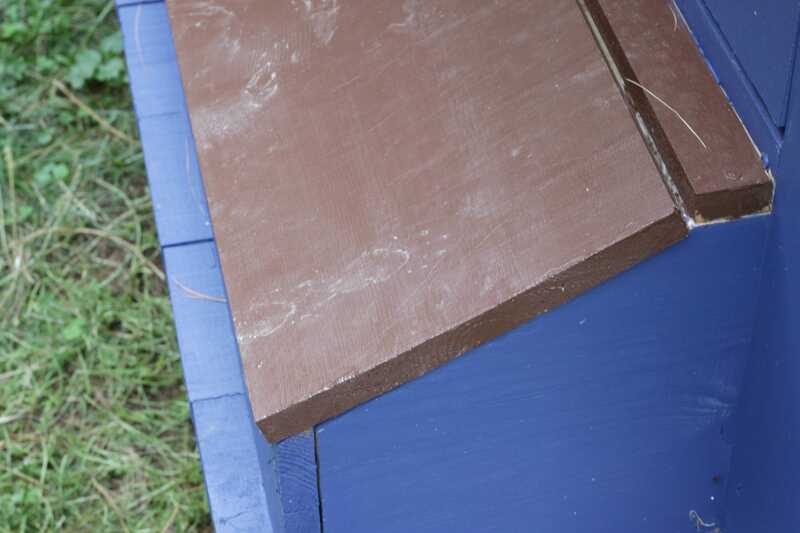 I thought it made sense for the lids to match the brown roofing on the coop. The cinderblock wall you can see behind the coop is the side of our garage, so you can tell that the browns are so similar. 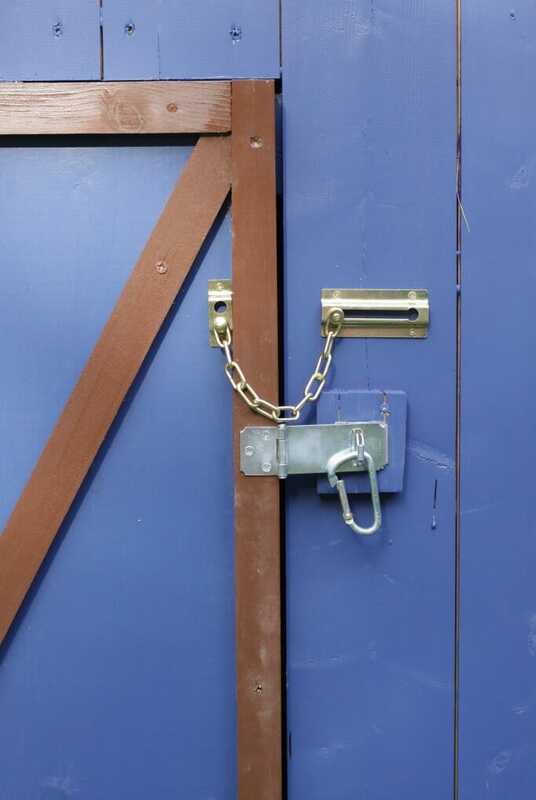 And see the latch on the nesting box and the double security on the door? We’ve now got a high security coop to protect our little ladies. Inside the coop, we built 8 nesting boxes. A seasoned chicken raising friend took one look inside our coop, and said, “Oh you can fit way more than 8 chickens in there!” Currently we have 5, and they all hunker down in 2 of the boxes together, so I am sure she is right. We still have some minor additions to make. We need to build a little ramp for them; currently they use this vintage ladder I had on hand. And I want to create some sort of sign and give the coop a little more decor love, naturally.I’d love to somehow add plant life to it or around it, but I am not sure just how much is possible there. Right now, I am just happy that everything seems to be functioning well, and my hens are safe and happy. These girls are doing well, and have learned to come running when I enter the back yard because most likely I’ll have scraps for them. I’ve learned that they don’t care much for bananas, but they love pizza. Who can blame them? This whole process from building the coop to getting our first round of hens (and then losing them) and then our next round has been one huge learning process for our family. 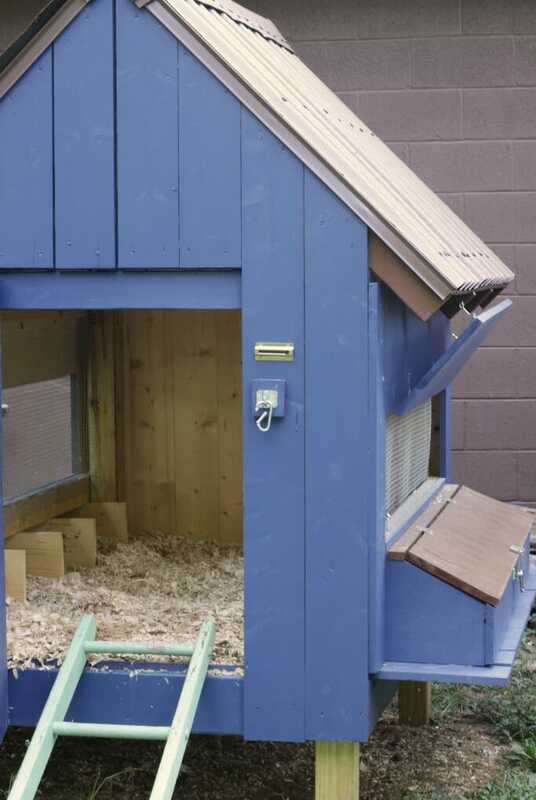 I know we still have so much to learn but I truly and loving the experience of having backyard chickens in a lovely blue and brown coop! Thanks to Ace Hardware for sponsoring this post. Sponsorships like theirs make it possible for me to keep this blog up and running. All opinions are my own. it’s been so much fun! the highlight of my day right now is feeding them scraps, and walking outside and saying “here chickies!” and watching them run as fast as they can for the food! I love your coop! My husband has always wanted to have chickens, but with all our naughty dogs, it made it quite impossible. So we’ll live vicariously through yours 🙂 our Ace hardware has a oops quart of paint in that color – I think I’ll go pick it up. I’m sure I’ll find something else that needs to be a beautiful blue. thank you so much, eliesa! yes, we wanted them before but our old dog would have eaten them so we had to wait until he was gone. i get it! I love your coop! the color is great and it is very functional! What a pretty color you painted it! I just hope you have much better luck with these chickens. You’re due some good luck! thank you! so far so good and we are getting eggs now so it’s exciting! 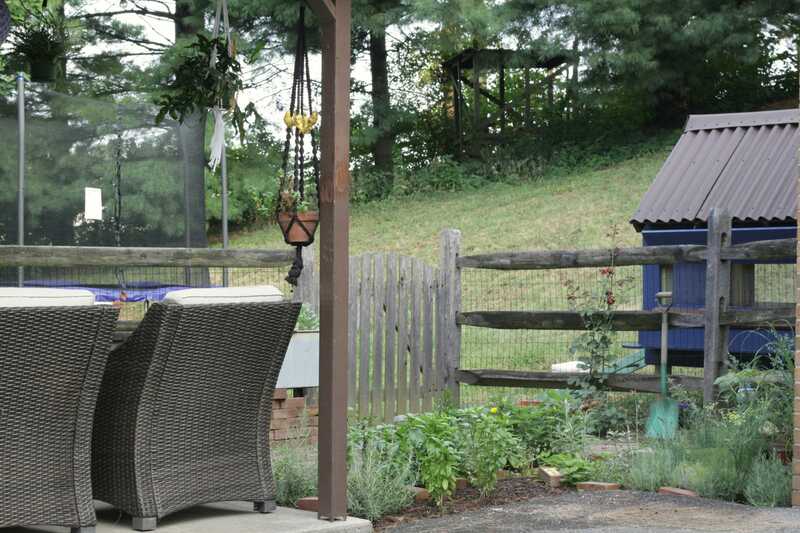 Well, of course Roostamante is my favorite part of this post ;), but I love your little coop, too–adorable! and great color! Such a fun color! 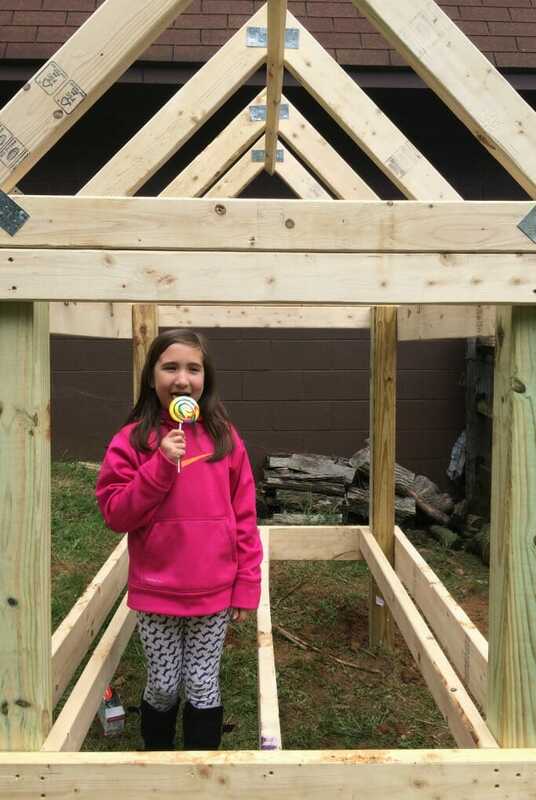 What a fun family project! Now that is impressive!!! Love the colors, especially how the blue looks with the minty green ladder. So happy things a going well with your hens! thank you so much, shelley! me, too! You did a FABULOUS job on the coop and I don’t agree that you and the hubs aren’t good at DIY. 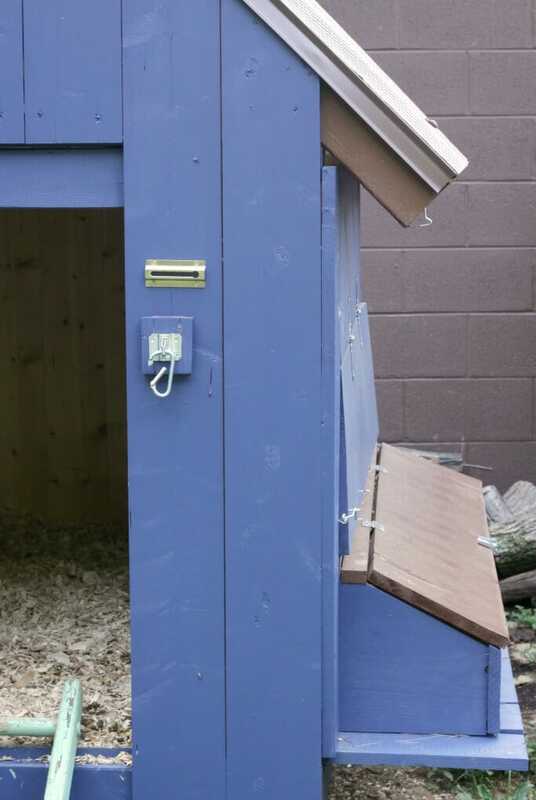 I think your hen-house is adorable. oh we don’t actually keep it there because they can jump up and down- that was just at first when we weren’t sure. it’s already moved! we did use it when we got our latest round of pullets as one was really little, but no more- she is fine without it now! and thank you so much!! 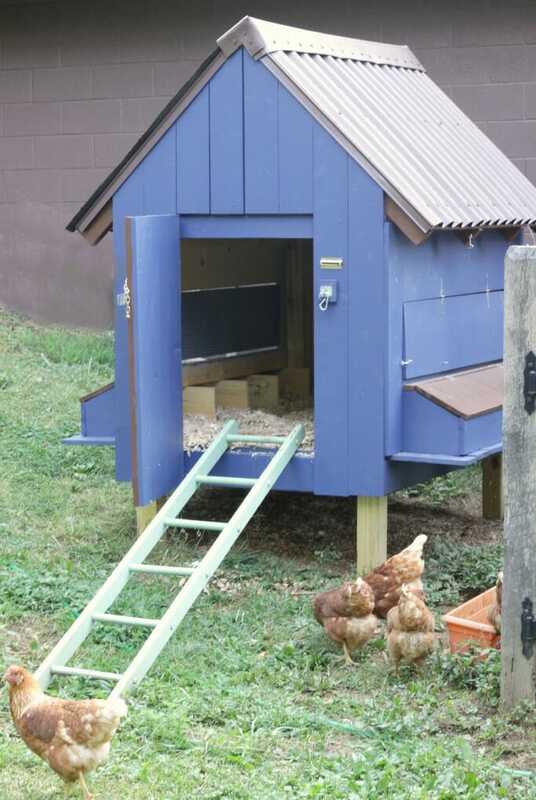 we had a lot of fun creating this space and even more fun raising these hens!